The Proposition 71 campaign of 2004, which has filled the coffers of more than 500 researchers and institutions with $1.4 billion, was the subject today of a discussion about miracles. Specifically did the campaign promise miracles? The story begins with a column May 27 by Michael Hiltzik of the Los Angeles Times about the "Son of CIRM" initiative, Proposition 29, on the June ballot. It seeks to fund more medical research with $800 million handed out by an organization patterned after the stem cell agency. In the column, Hiltzik did not speak well of the agency and said the 2004 campaign promised miracles. In a letter today in the Times, J.T, Thomas, chairman of CIRM, and Alan Trounson, president of CIRM, said the campaign did not promise "miraculous cures." "Joan Samuelson, a leading Parkinson's patient advocate, is shown in another ad asserting, 'There are more Americans than I think we can count who are sick now, or are going to be sick in the future, whose lives will be saved by Prop. 71.' Shortly after the measure passed, Samuelson was appointed to the stem cell program's board. "Do these ads amount to promising 'miracles'? Given that the essence of scientific research is that no one can predict the outcome, to assert as fact that 'lives will be saved by Prop. 71' is plainly to promise something downright extraordinary, if not outright miraculous. "Yes, this is the language of advertising, not research, but for Trounson and Thomas to pretend that the ad campaign somehow promised merely 'good science' and not specific outcomes, as their letter suggested, is (at least) miraculously disingenuous." The top two leaders of the California stem cell agency today took strong issue with a column in the Los Angeles Times that spoke less than favorably about the history and efforts of the state research enterprise. 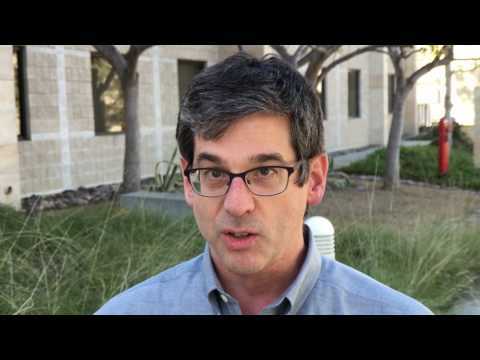 Pulitzer Prize-winning writer Michael Hiltzik mentioned California's $3 billion stem cell effort in a piece May 27 about Proposition 29 on the June ballot. The "Son of CIRM" initiative, tailored after the ballot measure that created the stem cell agency in 2004, would provide $800 million annually for research into tobacco-related illnesses. The money would be derived from a $1 dollar-a-pack tax on cigarettes. "Proposition 71(the stem cell initiative), you may recall, was sold to a gullible public via candy-coated images of Christopher Reeve walking again and Michael J. Fox cured of Parkinson's. The implication was that these miracles would happen if voters approved a $3-billion bond issue for stem cell research." Here is the full text as published. "In his article opposing Proposition 29, Michael Hiltzik makes a number of misleading statements about Proposition 71, the voter-approved measure funding stem-cell research. "No ads for Proposition 71 promised miraculous cures. They promised good science, and that is what is being funded, with more than 62 promising therapies for 40 different diseases on their way to clinical trials. "The stem-cell agency has conflict-of-interest rules as strict as any government agency. We undergo state-mandated audits to ensure we follow all rules and regulations, and the most recent one, completed just this month, praised the agency for its performance. "As for being 'an unwieldy bureaucrac just 6% of the money we get goes to pay for staff; 94% goes to fund research here in California, creating new jobs, generating income for the state and, most important, helping find treatments for deadly diseases." As the $3 billion California stem cell agency intensifies its efforts this year to push cures into the clinic, a Canadian academic is raising a host of serious questions about the drive towards commercialization in scientific research. "Commercialization has emerged as dominant theme in both the advocacy of science and in the grant writing process. But is this push good for science? What damage might the market’s invisible hand do to the scientific process?" "There are many recent examples of how commercialization plays out in top-down policy approaches to science. The UK government recently justified a £220 million investment in stem cell research on the pledge that it will help stimulate an economic recovery. A 2009 policy document from Texas made the optimistic prediction that stem cell research could produce 230,000 regional jobs and $88 billion in state economic activity. And President Obama’s 2011 State of the Union address went so far as to challenge American researchers to view this moment in time as 'our generation’s Sputnik moment'—the opportunity to use science and innovation to drive the economy, create new jobs, and compete with emerging economies, such as China and India. "The impact of this commercialization pressure is still unfolding, but there is a growing body of research that highlights the potential challenges, including the possibility that this pressure could reduce collaborative behavior, thus undermining scientific progress, and contribute to the premature application of technologies, as may already be happening in the spheres of stem cells and genetic research. For example, might the controversial new Texas stem cell research regulations, which allow the use of experimental adult stem cell therapies without federal approval, be, at least in part, a result of the government’s belief in the economic potential of the field? "Such pressure may also magnify the growing tendency of research institutions and the media to hype the potential near future benefits of research—another phenomenon that might already be occurring in a number of domains and could have the effect of creating a public expectation that is impossible to satisfy. "Furthermore, how will this trend conflict with the emerging emphasis on an open approach to science? A range of national and international policy entities, such as the Organisation for Economic Co-operation and Development, suggest 'full and open access to scientific data should be adopted as the international norm.' Can policy makers have it both ways? Can we ask researchers to strive to partner with industry and commercialize their work and share their data and results freely and as quickly as practical?" In late July, the governing board of the California stem cell agency is expected to make some hard financial decisions about where its future spending will be targeted. Just last week it approved a five-year plan with explicit goals for speeding stem cell research into the marketplace. A onetime aspirant to become the leader of the free world was in California recently touring the lab of a stem cell researcher in La Jolla. The visit was somewhat unusual. The visitor was Rick Perry, the governor of Texas who campaigned unsuccessfully for the Republican nomination for president and who is a strong opponent of hESC research. The lab is run by Scripps' Jeanne Loring, who engages in hESC research among other things. The event – if you can call it that – also led to a video on YouTube of Perry at the lab, three blog items by UC Davis stem cell researcher Paul Knoepfler and responses from Loring and Michael Thorsnes, who put up the video and who has what he modestly describes as "significant political experience" in the Democratic party. Thorsnes, a retired San Diego lawyer and now a photographer, raised about $5.4 million for John Kerry's and Al Gore's presidential efforts as well as other Democrats. Issues raised in all the hoopdedoo include consorting with the enemy, openness, exploitation of scientists for political gain, public education and education of political leaders, promotion of patient causes, rushing to judgment and even strange bedfellows. As far as we can tell, Perry's visit received no attention in mainstream media, but Thorsnes, a key figure in arranging the visit, put up a video of it on the Internet. Knoepfler, who is the rare stem cell scientist with a blog, saw the video and on May 21 raised what he now calls "a big stink" in a blog posting. Subsequently Knoepfler toned down the language in that item because of what he says was its "overly extreme verbiage." For several years now, Knoepfler has been writing a fine blog that deals mostly with stem cell science but also public policy, biotech business and more. Unfortunately, however, his original item is no longer available, but our recollection is that Knoepler's item was strong, indicating that Loring should not have allowed the visit because it would bolster the political fortunes of an enemy of science or at least hESC science. Knoepfler cited what he called the campaign-style video as evidence of exploitation. On May 24, after a related May 22 item dealing with Rick Perry, Knoepfler said he rewrote the original item to temper his comments as a result of learning more about what led up to the visit. That included more information from Thorsnes, who is chair of the executive advisory board of the Parkinson’s Disease Association of San Diego. "I think that scientists have an obligation to educate the public. I welcome visits from both stem cell proponents and opponents, so I have a chance to clarify any misconceptions about what it is that we really do. We have to figure out how to deal with our opponents as well as our friends. I have a policy of welcoming opponents so I can teach them. It works. Education wins minds." "Governor Rick Perry left my lab understanding far more about induced pluripotent stem cells than he did when he arrived. If we don't engage those who don't share our views, who will tell them the truth? How will they know that we are ethical and working to improving human health? "The visit was arranged by Michael Thorsnes, a well-known Democratic fundraiser. He is a very impressive person who knows politicians of every stripe, and he arranged the meeting with Perry so that I could explain our project to make iPSCs from people with Parkinson's disease, and our work using iPSC derivatives in multiple sclerosis. Perry is promoting 'adult' stem cell therapy in Texas, and I wanted to be sure that he understood the difference between 'adult' stem cells and pluripotent stem cells. He does. Educating those in positions of power is one of our responsibilities, and I take it very seriously." Our take: Perry is first and foremost a politician with large ambitions. It is more than legitimate to think about how such a visit might be used or misused. Nonetheless, foregoing the opportunity to educate political leaders, who control research spending in this country, means isolation of the scientific community and less understanding on the part of lawmakers. As far as Perry's possible political gain is concerned, it is conceivable that the visit could backfire on Perry should a political opponent characterize the Loring lab tour as some sort of endorsement by him of hESC research. Everybody's particular interests were at work in this episode: Thorsnes' desire for support for his cause, Perry's political schmoozing and his own special interest in stem cells – pro adult and con hESC, and Loring's desire to promote scientific research in general and to educate a major political figure. As for the video, Knoepfler now says he would allow a lab visit by Perry but no video. But in this digital age, that condition could kill a likely visit. If researchers want to talk to politicians – and they should -- risks are always involved, but that is the price of relying on public funding and building public enthusiasm for continued support. One final note: Earlier in this item, we said it was unfortunate that the original Knoepfler post is not available. Without being able to read the original, it is difficult to completely understand the subsequent string of events. On the California Stem Cell Report, when corrections or other changes are made, we always retain something to show what the original item said and note where changes are made and why. It keeps the record straight and provides a necessary paper trail. All in all, however, from Perry's visit to today, it has been a robust and healthy exchange for the stem cell community and beyond. One of the members of the governing board of the California stem cell agency, Francisco Prieto, has commented on the item yesterday dealing with California's Proposition 29, which would create a CIRM-like agency to fund research into tobacco-related illness. "I'm with George Skelton(Los Angeles Times columnist). Whatever you think about ballot box budgeting, you could take every penny raised by this and bury it in the ground - it would still: Reduce smoking (mostly by preventing some kids, the most price-sensitive group of smokers from starting) . Save lives. Hurt the lying tobacco companies. All very good things." CIRM has not taken a position on the measure. In the last couple of weeks, two well-respected Los Angeles Times columnists have visited what might be called the "Son of CIRM" initiative on the June ballot in California. It is aimed at fighting cancer by spending $800 million or so annually on research with the money coming from a $1-a-pack tax on cigarettes. "Prop. 29 would increase cancer research. Reduce smoking. Save lives. Hurt the lying tobacco companies. Good plan." In his work at the Times, Hiltzik deals primarily with business and financial news. He has written from time to time critically about the $3 billion California stem cell agency. Skelton is a longtime observer of the Califorrnia political scene and has been around since Pat Brown was governor. In a column slated for publication Sunday, Hiltzik said that the drafters of the cancer measure closely examined Proposition 71, which created the stem cell agency in 2004, and "managed to reproduce the earlier measure's worst features." "Proposition 71, you may recall, was sold to a gullible public via candy-coated images of Christopher Reeve walking again and Michael J. Fox cured of Parkinson's. The implication was that these miracles would happen if voters approved a $3-billion bond issue for stem cell research. Who could be against that? "As it turned out, the stem cell measure created an unwieldy bureaucracy and etched conflicts of interest into the state Constitution. By last count about 85% of the $1.3 billion in grants handed out by the program, or some $1.1 billion, has gone to institutions with representatives on the stem cell board. The program is virtually immune to oversight by the Legislature or other elected officials. For these reasons and others, it has grappled with only mixed success with changes in stem cell science and politics that have called its original rationale into question." "Proposition 29, similarly, places most spending from the tobacco tax in the hands of a nine-member board that must comprise one cardiovascular physician affiliated with a California academic medical center; the chancellors of UC Berkeley, UC San Francisco and UC Santa Cruz; two representatives of lobbying groups devoted to tobacco-related illness (including one who has been treated for such a disease); and three representatives from National Cancer Institute-designated cancer centers in the state. There are 10 of the latter, including five UC campuses and the City of Hope. Plainly, every member of the board will represent an employer that thinks it's in line for some of the money." Skelton took a different approach on May 14. Using the words of a federal judge, he lambasted the tobacco industry for its "a certified history of deception, distortion and lying. And let's not forget fraud and racketeering." Skelton dealt with the current TV ads being aired in California against the initiative. They criticize the measure for its conflicts of interest and also say that the money would be spent out of state. "The anti-29 side is hitting this hard: that the research money generated in California could be spent out of state. And the politest thing possible to say about that claim is that it's disingenuous. It's stretching something that's conceivable into a virtual certainty." "The anti-29 camp charges that (the structure of the board) would allow a conflict of interest in awarding contracts. But there are state laws that protect against such conflicts. "Anyway, the tobacco crowd can't have it both ways: complaining that the money could be spent outside California and also griping when the system is set up to practically guarantee that it will be spent in California." Ballot box budgeting – which is at the heart of both the stem cell and cancer initiatives -- is one of the reasons that California is staggering from one year to the next in a perennial financial mess. Initiatives also sometimes create nasty blowback that can damage the effort that they ostensibly serve. Such is the case with the California stem cell agency, which suffers from management and other minutia embedded in Proposition 71 that is virtually politically impossible to change. "Gov. Brown's latest budget proposal calls for cuts of $1.2 billion in Medi-Cal and $900 million in CalWorks (a relief program for families with children) and steep cuts in financial aid for college students and in court budgets. The University of California and Cal State systems are becoming crippled by 20 years of cutbacks in state funding, leading to soaring tuition charges. Tobacco-related illnesses create some of the burden on Medi-Cal and other public healthcare programs, yet a minimal portion of Proposition 29 revenue, if any, would go to helping taxpayers carry that burden. "With the overall state budget gap approaching $16 billion, how can anyone make the case for diverting a huge chunk of $800 million a year in new revenue to long-term scientific research, whether in California or not? Even if you believe that case can be made, the proper place to make it is in the Legislature, where all these demands on the budget can be weighed and balanced against one another — not at the ballot box, where the only choice is to spend it the way the initiative's drafters choose or not to raise it at all." The California Stem Cell Report agrees wholeheartedly. Media coverage of yesterday's $69 million in research awards and other matters involving the California stem cell agency was nearly non-existent today. That is not unusual, however, since the $3 billion enterprise is not within the attention span of the mainstream press and electronic outlets. The California Stem Report could find only two stories involving yesterday's actions. One by Ron Leuty appeared in the San Francisco Business Times and was a look at the grant awards. The other appeared on Nature's website. "The California Institute of Regenerative Medicine (CIRM) voted on 24 May to accept a new strategic planwhich shrinks or eliminates support for basic research, facilities and training, while funneling more of its funds toward clinical development." The CIRM governing board actually put off until at least July decisions on which programs to cut and which to expand. Basic research is not likely, however, to take a major hit, for a variety of reasons. The California stem cell agency today awarded $69 million in grants, including the first involving a collaboration with researchers in China, but none of the awards went to California biotech businesses. The awards were made in the agency's third translational round, which funds projects that are in the initial stage of identifying drugs or cell types that could become drug therapies. CIRM originally allocated $95 million for the round, but CIRM spokesman Kevin McCormack said that grant reviewers determined that no applications beyond $69 million were worthy of funding. The CIRM governing board overturned a negative reviewer decision on one grant after the scientist – W. Douglas Boyd of UC Davis -- filed an appeal. The appeals of two other researchers, including one from a San Diego business, were not successful (see here and here). CIRM did not disclose the number of applications from businesses. The agency has been sharply criticized for failing to fund businesses in a substantial way. The approved grants involve collaboration with researchers in Australia and Germany as well as China. The collaborations are based on agreements worked out earlier by CIRM with overseas groups, which fund their own countries' researchers. No CIRM cash is involved, according to the agency. "The sun now never sets on the CIRM collaborative projects..."
"The Chinese Ministry of Science and Technology has committed roughly $850,000 in collaboration with a team at UCSF to study liver failure. This is the stem cell agency’s first joint effort with scientists in China, which is home to a fast-growing stem cell research community." The UCSF liver team is led by Holger Willenbring, whose goal is "to develop a source of autologous therapeutic cells for patients with liver disease who otherwise would require a liver transplant," according to the CIRM review summary. The agency did not spell out the details of how the collaboration would work. All of the winning applicants, with the exception of a Salk researcher, work for institutions linked to at least one of the 29-members of the CIRM governing board. CIRM directors, however, are barred from voting or even discussing applications in which CIRM attorneys have determined there is a conflict of interest. You can find the names of all the successful applicants in the CIRM news release. The governing board of the $3 billion California stem cell agency today rejected a proposal that would have restricted transparency surrounding the financial interests of its directors and top executives. On a unanimous voice vote, the board decided it would stick with the more complete disclosure rules that it has operated under since 2005. CIRM staff had offered changes that would have narrowed the amount of economic information that the board members and the executives would have been required to disclose. "I personally feel strongly that because of CIRM's unique mission and the agency's incredibly long-standing commitment to transparency, i believe that we should continue to set an example by requiring the broadest disclosure for members of the board and high level staff." The CIRM board also has built-in conflicts of interest, written into the law by Proposition 71, which created the agency. About 92 percent of the $1.3 billion awarded so far has gone to institutions tied to members of the CIRM governing board. Board members are not permitted, however, to vote on or discuss grants to their institutions. But it is fair to say that if California voters had foreseen that nearly all of the grants would have gone to directors' institutions, they would not have approved creation of the stem cell agency. "When people have to fill a void in information, they assume the worst." The $3 billion California stem cell today officially embarked on a course that will mean closer ties to the biotech industry in hopes of fulfilling the campaign promises to voters to turn stem cells into cures. On a unanimous voice vote, directors approved changes in the seven-year-old agency's strategic plan. The action will likely mean less money for some activities that enjoyed more cash in the past, but directors put off action until at least late July. The plan also sets the course for what may be the last years of life for the unprecedented state research program. Authorization to borrow more money (state bonds) for its grants will run out in about 2017. During a brief discussion of the plan, which has been debated for some months, CIRM Director Jeff Sheehy noted that the agency has now entered "the realm of trade-offs." Ellen Feigal, CIRM's senior vice president for research and development, told the board that the plan will require hard decisions and sharp focus on priorities. Among other things, for first time CIRM overtly set a goal of creating 20 programs that include outside investment that focus on products. Another five-year goal explicitly calls for financing at least 10 therapies in early-phase clinical trials, affecting at least five diseases. Overall, the plan seeks to achieve clinical proof-of-concept for stem cell therapies. In contrast to the Proposition 71 campaign rhetoric, CIRM's strategic plan acknowledges that developing therapies takes a very long time, often decades. Two scenarios were presented to the board for spending the agency's remaining $836 million for grants and loans. One would allocate $506 million for development research, $195 for translational research and $135 million for basic research, but nothing for training and "facilities/core resources." The other scenario calls for $486 million for development research, $160 million for translational research, $105 for basic research, $60 million for training and $25 million for "facilities/core resources." The first scenario would mean a $85 million cut in training and shared lab programs – cash that helps to finance researchers and that benefits the many institutions that have representation on the CIRM board. The board put off action on either scenario after CIRM President Alan Trounson said he wanted more time to prepare a complete analysis of the scenarios. The plan also calls for creation of a platform to enable grantees, disease foundations, venture capitalists and others to purse CIRM's mission when its state bond funding runs out. The possibility exists that another bond measure would be submitted to voters. But in either case, CIRM will need a solid record to attract support. The $3 billion California stem cell agency received a "very favorable" performance audit report compared to other government agencies, CIRM directors were told today. Representatives of Moss Adams, which was paid $234,944 by CIRM for the study, made the comments during a presentation today to the agency's 29 directors. During their comments, CIRM executives and directors focused on the favorable aspects of the findings of the six-month study. "Comparatively we have done very well." The report praised the professionalism of the CIRM staff – "a high caliber group" – and noted the seven-year-old agency is both "ramping up and ramping down" at the same time – a reference to the end of state bond funding for CIRM in 2017. Prior to the presentation, CIRM President Alan Trounson said the staff would review the findings and come up with a plan for the board at its July meeting. The agency is already implementing some of the recommendations. The audit was required by a recent state law that also allowed CIRM to hire more than 50 persons, a cap imposed by Proposition 71, which created the agency. The audit found a need for improvement in 27 areas and made recommendations. Of the 20 recommendations with the highest priority, half involved how CIRM manages its information, much of which is needed for good decision-making. The audit did not assess the scientific performance of the agency. "CIRM board members and senior management do not receive regularly updated, enterprise-level performance information. The ability to evaluate performance against strategic goals is critical to effective leadership and program monitoring, evaluation, and reporting. CIRM does not currently have a formal performance reporting program." In addition to decision-making information, Moss Adams called for improvements in the agency's long-troubled grants management system, better grant outcome tracking, development of a results-based communications plan, creation of a comprehensive, formal business development plan, formulation of a comprehensive information technology plan that would include steps to establish clear responsibility for CIRM's website and improved monitoring of invention disclosure forms from grantee institutions. Last week, in a long overdue move, the agency hired a director for information technology, who is expected to solve many of the problems cited in the audit. State law requires another performance audit in a few years. The California Stem Cell Report will provide live coverage of tomorrow's meeting of the governing board of the $3 billion California stem cell agency. Directors are expected to make major decisions about the agency's future direction, hear the results of the first-ever performance audit and award about $95 million in grants or loans. The meeting will be held near the San Francisco airport with another public teleconference location at UC San Francisco. Los Angeles will also have two public teleconference locations. Another will be in La Jolla. The meeting will be audiocast live on the Internet, which the California Stem Cell Report will monitor from its base in Panama near the Pacific entrance to the Panama Canal. Instructions for listening in on the audiocast can be found on the agenda along with specific addresses for the public teleconference locations. The meeting is scheduled to begin at 9 a.m. PDT. It was not exactly a case of "Back to the Future," the hit movie starring Michael J. Fox, but it did offer a reflection on the past. It involves the actor's changing views on stem cell research in connection with Parkinson's disease, which he has had since the 1990s. Early on, Fox was well-known for his support of human embryonic stem cell research. ABC News recently described him as having become "one of the country’s most visible advocates for stem cell research." In California, Fox was a prominent promoter of the ballot initiative, Proposition 71, that created the $3 billion California stem cell agency in 2004. " "It could save the life of someone you love." The director of robotics and biosurgery at UC Davis is appealing rejection of his application for a $4.9 million grant from the California stem cell agency. The scientist, W. Douglas Boyd, noted that his proposal was given a scientific score of 67, which was one point below the cutoff for most grants approved by CIRM's Grants Working Group. Thirteen grants fell in the 68 to 53 range, including Boyd's. Reviewers approved four in that range, including two with scores of 53. The appeal letter, along with other appeals(see here and here), will be given to CIRM directors in the agenda material for their meeting tomorrow in San Francisco. The board does not have to act on the petitions or discuss them. Researchers can also appear before the board to make a case. Claire Pomeroy, CEO of the UC Davis Health Systems, is a member of the CIRM board. She will be barred from taking part in any discussion of Boyd's application or voting on it. In a move that was long overdue, the $3 billion California stem cell agency last week hired a director of information technology to straighten out key problems ranging from its grants management system to how it handles its website. The new hire comes as the CIRM governing board faces the results of its first-ever performance audit, which is markedly critical of how the agency handles its information. Half of the audit's 20 highest priority recommendations for improvement focus on information deficiencies, including critical information necessary for CIRM executives to determine the agency's performance. Solving those problems will fall on the shoulders of Bill Gimbel, who is no stranger to CIRM. He has been working with the agency as an information technology advisor since 2010 through a contract with Infonetica, Inc., of Pleasanton, Ca., according to CIRM spokesman Kevin McCormack. Gimbel is now the first staff person in a chief technology position at CIRM since October 2007, when about 25 percent of CIRM employees left. A graduate of MIT, Gimbel, who will be paid $180,000 annually, has a broad range of experience in computer technology and software dating back to 1992. According to his Linkedin web site, he was most recently director of IT at Infonetica. He lists himself as owner of aptReader, an app for reference books. He has also worked for LearningExpress and Scholastic, Inc. The stem cell agency has been wrestling with information technology issues for years. The critical grants management system has been an issue at least since 2007, when directors were told its costs would not exceed $757,000. No figures for the total spent since then have been made public by CIRM, which is attempting to build a custom system, but the amount clearly and easily surpasses the 2007 estimate, based on some of the outside consulting costs. Although the agency hopes to resolve many of the problems by the end of this calendar year, the grant system was the target of considerable attention by Moss Adams, the firm that prepared the performance audit. Over the years, CIRM directors have received intermittent, sketchy CIRM staff reports about the grants management system, but the Moss Adams discussion is the most comprehensive. "Integration of website content management has not been an integral part of the GMS (grants management system) development process, which could result in suboptimal operational efficiency and effectiveness. "Grants management system development is effectively managed at a tactical level, but it lacks dedicated, strategic governance and oversight, which has resulted in an elongated development process and requirements conflicts." "The new grants management system intellectual property module, currently under development, does not include provisions to address commercialization activity." "Data and document access are inefficient as a result of CIRM operating without a document management system.....In most cases, CIRM staff cannot access information without human interface. Information is stored in multiple locations, which are not linked or indexed." The audit said that the agency has tried to solve its information problems without a plan. "CIRM’s information system needs have been met by a variety of tools, including in-house developed applications, off-the-shelf applications, databases, and spreadsheets, most of which are not integrated," the audit stated. One of the effects of all this is much wasted time when CIRM's tiny staff tries to extract information from the hodge-podge of systems. It is time that cannot be spared as the workload increases in the next few years, as it is certain to do. CIRM's 29-member board is scheduled to consider the performance audit at its meeting this Thursday. The Sacramento Bee today ran a piece by yours truly in its California Forum section. Here is an excerpt. You can find the entire article here. "They're talking about pain at the $3 billion California stem cell agency. And mortality. But not the end of life as you and I know it. "CIRM's changing priorities create 'stark tension,' said one board member, Michael Friedman, CEO of the City of Hope in the Los Angeles area, in January. 'We're going to have to make some really painful and difficult decisions,' he told directors. "CIRM's success – or lack of it – will play a critical role in its future finances, whether they are based on another bond measure or private support." A San Diego biotech firm, Eclipse Therapeutics, whose multimillion dollar grant application was rejected by reviewers at the California stem cell agency, is asking the agency's board to overturn the decision next Thursday. Eclipse, a spinoff from Biogen Idec, said it is reducing its request from $3.5 million because it has raised $2 million since it applied for the grant six months ago. However, its appeal did not state specifically how much it was now requesting from CIRM. The research involves cancer stem cells. The company's appeal said that during the period following submission of its application, it has accomplished all of the activities that CIRM had identified as the first milestone in the research project. Eclipse also said it has accomplished a number of activities in milestones two and three. The firm said that it is now accelerating its IND filing by one year. Eclipse was formed in March 2011 with $2 million in seed funding from City Hill Ventures, also of San Diego, according to a Bioworld article by Marie Powers. The co-founders are Peter Chu, now president of Eclipse, and Christopher Reyes, chief scientific officer. Chu and Reyes ran Biogen Idec's cancer stem cell program. They are also the applicants for the CIRM grant. Their appeal carried a routine cover letter to the CIRM board from CIRM President Alan Trounson. He made no comment on the worthiness of the request. On an earlier appeal from Stuart Lipton of Sanford-Burnham, Trounson's cover letter said Lipton's letter was "without merit." Eclipse said its proposal received a scientific score of 58 out of 100 from CIRM reviewers. CIRM, however, has not released the company's score. Two other proposals with scores of 53 were approved by reviewers. For several years, CIRM has been sharply criticized for its failure to fund businesses in a significant way. It is currently moving to engage them more closely. If Eclipse's appeal is successful, it will be one of less than 20 business to be funded without a nonprofit partner. Businesses have received only about 4 percent of CIRM's $1.3 billion in awards to 494enterprises. Appeals from rejected applicants are included in the agenda material presented to the CIRM board, but the board does not have to act on them or discuss them. Researchers can also appear before the board to make a case. Sanford-Burnham researcher Stuart Lipton is seeking to overturn rejection of his application for a $5 million grant from the California stem cell agency, declaring that reviewers misinterpreted the proposal and relied partly on "grantsmanship" instead of science. Lipton's proposal deals with strokes and is one of 22 rejected by CIRM's reviewers in a $95 million round that comes before the agency's directors next Thursday. Lipton's letter to CIRM yesterday said some of the reviewers' criticism was "completely unfounded," "incorrect" or "in error." The two-page letter went into specific scientific detail. In a cover letter to the CIRM board, CIRM President Alan Trounson said Lipton's appeal was "without merit." He did not go into details but said CIRM staff is prepared to discuss it next Thursday. The scientific score on Lipton's grant was not disclosed by CIRM, but it appears to be between 62 and 53. Two grants ranked at 53 were approved by reviewers. Appeals from rejected scientists are included in the agenda material presented by the board, but the board does not have to act on them or discuss them. Researchers can also appear before the board to make a case. Kristiina Vuori, president of Sanford-Burnham, is a member of the CIRM board. She will be barred from taking part in any discussion of Lipton's application or voting on it. The California stem cell agency this week once again posted in a timely fashion important information dealing with matters to be decided next Thursday by directors of the $3 billion stem cell agency. The agency's actions are a marked improvement in openness and transparency compared to the practices prior to the election last June of J.T. Thomas as chairman of the CIRM board. Previously, background material on multimillion dollar matters was not available much of the time until shortly before the directors meeting, making it virtually impossible for interested parties or the public to comment or attend the sessions. Even CIRM directors would complain from time to time about the laggard performance. According to the agenda, next week's meeting in San Francisco will include approval of $95 million in new grants, consideration of the first-ever performance audit of which made 27 recommendations for improvement, action on the first-ever CIRM directors' code of conduct along with conflict of interest rules, changes in its loan policy and consideration of the agency's strategy for the next five years. In addition to the meeting site in San Francisco, a public teleconference location will be available at UC San Francisco, two in Los Angeles and one in La Jolla. Specific addresses can be found on the meeting agenda. The California stem cell agency will not renew a contract with a "special advisor" who has been nominated to the board of directors of a firm that is sharing in a $14.5 million grant from the agency. She is Saira Ramasastry, managing partner of LifeSciences Advisory, LLC, of Emerald Lake Hills, Ca. Ramasastry has worked for CIRM since May of 2010. Last month, she was nominated to the board of Sangamo BioSciences, Inc., of Richmond, Ca. Her responsibilities with CIRM have included "industry analysis and consultation." Sangamo cited her experience with CIRM in its press release on her nomination. She was also employed as a consultant by Sangamo, according to the firm. Ramasastry's dual roles raise obvious conflict of interest questions. The case highlights the issues that can arise between CIRM and the biotech industry as the agency moves to engage industry more closely. CIRM's response additionally demonstrates a lack of awareness of the potential for serious mischief or worse when dealing with consultants. The California Stem Cell Report asked CIRM on May 6 for comment on the Sangamo-Ramasastry matter. The questions included whether Ramasastry disclosed to CIRM her work for Sangamo and whether CIRM took any action per the agency's conflict of interest code. CIRM did not respond to the question of whether Ramasastry ever disclosed her ties to Sangamo, which expects to receive $5.2 million from the CIRM grant if it runs a full four years. Here is the text of CIRM's reply today from spokesman Kevin McCormack. "Saira Ramasastry was an independent contractor. As required by law, we do ask independent consultants to complete Form 700s(statements of economic interests) if they participate in an agency decision making role. Her role did not fall into that category - she was identified as a 'special advisor' in connection with our external review process - and so she did not have to fill out a Form 700. Her contract with CIRM comes to an end at the end of June, and she will not be elected to Sangamo's board of directors until July. Obviously once she is a member of the Sangamo board she will not be consulting or advising CIRM because of our strict conflict of interest rules." Our take: CIRM is heavily dependent on outside contractors. Expenditures for their services are the second largest item in CIRM's operational budget, exceeded only by salaries and benefits of regular employees. The responsibilities of outside contractors cover a wide range of sensitive tasks including computer system security, development of software that deals with proprietary information from grant recipients, analysis of confidential business operations of grant and loan applicants and much more. The agency needs to know who their consultants are working for besides CIRM. Whether they make decisions for CIRM is beside the point. Gathering information that is not normally accessible to the public can be extremely valuable to businesses and their competitors as well as applicants for CIRM's $3 billion. In Ramasastry's case, she was privy to a great deal of confidential or economically useful information during her work on CIRM's external review and likely much more. The use of California's Form 700 is hardly adequate to assess conflict of interest issues involving private consultants. The form was developed in the 1970s to deal with elected officials primarily and provides only the grossest sort of look at financial holdings and income. CIRM's current move to embrace industry requires more scrutiny of conflicting interests – not less. NextThursday the CIRM board will deal with some of its conflict ofinterest rules. It is fine opportunity to ask for a sharper analysis of conflict issues and consultants with an eye to strengthening CIRM regulations and ensuring protection of the agency and its grantees' work – not to mention the interests of the people of California. State Treasurer Bill Lockyer has appointed Michael Marletta, president and CEO of the Scripps Research Institute, to the 29-member board of directors of the $3 billion California stem cell agency. Marletta fills the seat of Floyd Bloom, also a Scripps executive, who resigned last year. Scripps has received $45.3 million in funding from CIRM. In a letter yesterday to the stem cell agency, Lockyer said Marletta is a member of the National Academy of Science, American Academy of Arts and Sciences and the Institute of Medicine. Marletta joined Scripps in 2011 and became president in January. Prior to that, he was at the University of California, Berkeley, where he once served as chairman of the department of chemistry, among other roles. An item on the Scripps web site said Marletta "focused his research on the intersection of chemistry and biology. He is acknowledged as a pioneer in discovering the role of nitric oxide, a critical player in communication between cells." The CIRM board has another vacancy to fill. Ted Love resigned last month after serving on the board since its inception in December 2004. CIRM said Love, executive vice president of Onyx Pharmaceuticals, resigned for personal reasons. State Controller John Chiang is considering a number of candidates to replace him. Love was the only African-American on the board. For those interested in how the California stem cell agency is going to spend its next $95 million, you can check out short digests today of the 19 research grant applications, including reviewer comments, that are virtually certain of receiving the cash. The applications came in what CIRM calls its "early translational III" round, which is scheduled to be acted on by the CIRM board May 24 in San Francisco. Digests of reviewer comments are part of the directors' meeting agenda. They include scientific scores, a statement from the applicant and a summary of what reviewers had to say during their closed door sessions. But you won't find the names of the applicants, their institutions or businesses. The stem cell agency conceals the names of the winners until after the board acts. Names of the unlucky ones are not disclosed by CIRM. The agency says it does not want to embarrass anybody including the institutions involved. However, persons familiar with the area of science involved may well be able to discern at least some of the names of applicants from the information contained in the summaries. Scientific scores of the successful applicants ranged from 88 to 53. Nine grants scored higher than 53 but were rejected by reviewers(the Grants Working Group). The panel turned down 22 applications overall. The CIRM board has final authority on applications, but has almost never rejected a positive decision by reviewers. Sometimes, however, it will overrule a negative decision. "The programmatic reasons provided were that ALS is a devastating disease that is not well-represented in CIRM's portfolio." "The GWG (grants working group) ... advised as a condition for funding that the applicant consult additional vector specialists with translational and clinical experience to select a more appropriate vector to move this program towards the clinic." Again CIRM withheld the vote on the motion and the name of the person who made the motion. Applicants who have been rejected by reviewers can appeal to the full board. So far no appeals have been publicly posted by CIRM. The success rate on such appeals is mixed. The translational round was open to both academics and businesses, which have received a tiny fraction of CIRM's $1.3 billion in spending so far. Some businesses have complained publicly and, as well, to a panel of the Institute of Medicine that is evaluating CIRM's performance. The California Stem Cell Report yesterday asked CIRM for the number of businesses that applied in the translational round, including the pre-application process, which is used to whittle down the total number of applications. The request included total numbers as well. CIRM spokesman Kevin McCormack declined to produce the figures prior to the CIRM board meeting, saying they "won't be ready" until after the session. The $3 billion California stem cell agency is laboring under a range of problems that include protection of its intellectual property and management of its nearly 500 grants plus an inadequate ability to track its own performance, a seven-month study said yesterday. The performance audit by the Moss Adams accounting firm of Seattle, Wash., made 27 recommendations for improvements, including more effort to ease strain connected to the agency's controversial dual executive arrangement. The study said that the nearly eight-year-old agency has many "opportunities" to "enhance performance reporting and decision making, strengthen effectiveness and efficiency, retain essential human resources and leverage technology." In response to the report, the stem cell agency said, "(M)anagement concurs with the findings and recommendations....The recommendations are focused and constructive. CIRM is already implementing many of these recommendations, and we will be investigating the others in the coming months." The performance audit is the first ever made of the California Institute for Regenerative Medicine. The audit is required by state law and was commissioned by the agency at a cost of $234,944. For years, the agency for years had resisted calls for a performance audit until it sought legislative approval in 2010 for removal of a 50-person cap on its staff. Originally, the performance audit legislation would have put the study in the hands of the only state body charged with oversight of the agency and its board. CIRM, however, was successful in lobbying to have that provision removed. The 54-page report identified once again a number of issues that have troubled the stem cell agency for some years. Moss made 12 top priority recommendations, many of which dealt with information technology and grants management. Many of the recommendations focused on providing better and faster information on performance outcomes, which the audit said has been slow to come and hard to generate. "Key performance information is not readily available to CIRM leadership and other stakeholders on an ongoing basis. CIRM board members and senior management do not receive regularly updated, enterprise-level performance information. The ability to evaluate performance against strategic goals is critical to effective leadership and program monitoring, evaluation, and reporting." "CIRM does not effectively communicate outcome-based performance internally or externally. As such, CIRM does not focus on performance metrics as part of its (staff) meeting process." "CIRM does not have an integrated financial information system....The use of spreadsheets results in labor intensive processes to generate reports and respond to information inquiries, since data must be pulled from multiple spreadsheets, a process that may be prone to error. ...Spreadsheets are not linked to each other or a master report. CIRM does not have a comprehensive list of spreadsheets or instructions for how to maintain the files or generate reports from them." Moss Adams said that CIRM needed to do a better job in "bond forecasting," a reference to the California state bonds that finance virtually every aspect of the agency's operations. CIRM directors were caught by surprise a few years ago when they suddenly learned the agency was up against a major cash crunch. Some of the recommendations will require more work from CIRM grantees and their technology transfer offices in an effort to track intellectual property and grant outcomes. The report also recommended a speed-up in CIRM's review of progress reports from grant recipients, which have been lagging completion by several months. The dual executive arrangement, which was written into law by Prop. 71, has troubled CIRM since nearly day one. CIRM's own external review panel also identified it as problem two years ago. The executive structure is virtually impossible to change because of the political difficulty in making alterations in the ballot initiative. "The working relationship between the chairman’s office and the president’s office has vastly improved over the past year, but there are still opportunities for improvement." "Make every effort to manage and operate as one cohesive organization, while recognizing the varying roles, responsibilities, and authorities that exist with positions in both the chairman’s office and president’s office." One of the top 12 recommendations involved CIRM's public relations/communications effort. CIRM Chairman J.T. Thomas told directors last June that the agency was in a "communications war." "CIRM does not have a communication plan, and there is lack of clarity on how to address mission-based communication to CIRM’s various target audiences, especially the general public....The best way to facilitate results-based communications is to 1) quantify goals and outcomes in CIRM’s strategic plan and 2) report on achievement of those goals and outcomes by enhancing CIRM’s annual report with additional performance-based information." Another performance assessment of the stem cell agency is also underway. It is being conducted by the prestigious Institute of Medicine and is costing CIRM $700,000. That report is expected this fall. CIRM's board of directors is scheduled to consider the Moss Adams report at its meeting May 24. Our take: While the findings and recommendations of the performance audit were delicately worded in many cases, they brought out issues that need to be addressed, many of which have been around for a great deal of time. At their meeting next week, CIRM directors should act very directly on the recommendations. They can do that by requiring a written report each month from CIRM Chairman J.T. Thomas and CIRM President Alan Trounson on the specific steps that they are taking to implement the performance audit's recommendations. Otherwise, the inevitable drift will set in. The $3 billion California stem cell agency dodged the governor's financial knife today. "The answer is no, we won't be affected." The question arose because California's financial picture is much bleaker than it was just four months ago. And the stem cell agency's only real source of cash is money borrowed by the state -- general obligation bonds. Under Prop. 71, which created the agency in 2004, the bond funds flow directly to the agency without intervention by the legislature or the governor. However, Brown has been chary of additional bond sales since they create an increasing burden in the form of interest costs. Those costs must be financed out of money that otherwise might go to the University of California, K-12 schools and medical help for the poor. Under an agreement arrived at last year, CIRM has what amounts to a $225 million line of credit with the state, which should take care of its needs until January. The cash is coming from short-term borrowing by the state instead of bonds. The Brown Administration has cut back on bond borrowing and intends to cut more this fall. According to the state Department of Finance, the cost of borrowing has declined $173 million this fiscal year, down to $5.2 billion. CIRM's share of the debt service is more than $200,000 a day. The StemCells, Inc., item earlier today incorrectly stated that the disease team applications will come before the board of the California stem cell agency later this month. In fact, they are scheduled to come up at the board meeting in late July. StemCells, Inc., said today it has applied for as much as $40 million in funding from the California stem cell agency for two projects dealing with Alzheimer's disease and cervical spinal cord injury. The announcement came in a news release dealing with the publicly traded firm's quarterly earnings. The applications are part of a $240 million round expected to be acted on in late July by the board of the $3 billion California stem cell agency. Funding for businesses in the disease team round is expected to come through a loan. "In January 2012, we submitted two applications to the California Institute of Regenerative Medicine (CIRM) for 'Disease Team Therapy Development Research Awards,' one for Alzheimer's disease and one for cervical spinal cord injury. A research award may be up to $20 million, payable over four years, to fund preclinical and IND-enabling activities with the aim of starting human clinical trials within a four-year window." Applications in the round were reviewed behind closed doors in April. CIRM also has a policy of not releasing the names of applicants until its board acts and then only if an applicant is approved. CIRM says it does not want to embarrass firms that do not win approval. That includes individual researcher names as well as the names of such institutions as the University of California. During discussion of grant applications by the CIRM board, directors are not told the names of the applicants, just the number of the application. If board members have conflicts of interest on specific applications, they are barred from voting on and discussing the application. The names of applicants have occassionally slipped out. Sometimes their identities can also be discerned by information contained in the summaries of the reviews of the applications, which become available on the CIRM web site shortly before the directors act. The summaries normally carry scientific scores and recommendations for funding. Most companies seeking funding from CIRM do not identify themselves in advance, although they do if they appeal a negative decision by reviewers. The board has ultimate authority for approval of grants but has almost never rejected a recommendation for funding by reviewers. 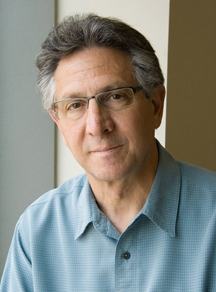 StemCells Inc. was founded by Irv Weissman of Stanford, who sits on its board of directors. Weissman is also on its scientific advisory board along with Fred Gage of Salk and David Anderson of Caltech. Weissman and Gage have won substantial grants from CIRM. StemCells Inc.'s stock price closed at 92 cents yesterday. Its 52-week high was $8.20, and its 52 week low was 70 cents. Here is a link to an analyst's report on the company. The "stem cell lawyers" item May 9 incorrectly stated that CIRM is expected to have six lawyers on staff in the next fiscal year. The agency expects to have a legal team of six (four lawyers and two assistants). $2.4 Million for State Stem Cell Lawyers: Too Much or Not Enough? The California stem cell agency is spending $2.4 million a year on lawyers, a figure that one agency director has described as "awfully bloated." More than one dollar out of every ten that CIRM spends on its operations goes for legal advice, and the subject came up at a meeting last month of a meeting of its directors' Finance Subcommittee. The issue triggered a sharp exchange revolving around a proposal to hire an additional attorney to deal with intellectual property issues. In the next fiscal year, the agency expects to have legal team of six (four lawyers and two administrative assistants) on board out of a total CIRM staff of 60. It also has three outside lawyers or firms under contract at an annual cost of $1.1 million. Overall, CIRM is spending 13 percent of its $18.5 million operational budget on legal matters. Its budget for legal services will increase $50,000 next year. CIRM's proposed budget includes a cut in external legal contracts to help finance the addition of another staff attorney. Elona Baum, CIRM's general counsel, is also advancing an additional proposal this month that would pay for another staff attorney indirectly through CIRM loans to business, thus avoiding problems with the 6 percent legal cap on the agency's budget. "Well, wait a minute. We already have you. We have Ian. We have Scott. We have James. What more do we need to add more to our legal services budget, which looks awfully bloated." Baum and CIRM President Alan Trounson defended the addition of a staff lawyer. Both cited the need to protect intellectual property and promote commercialization of CIRM-funded inventions. Trounson and Baum said grantee institutions are failing to do so. Consequently, they said, the stem cell agency is "at risk." "There are current counsels within the UC and Stanford and USC that ought to be taking care of this for their grantees." "Well, they're not – you know, this is not being taken care of in a way which is -- which is -- which is reasonable to the organization here. and I think it's putting the organization at risk...."
Baum cited an "a very in-depth" memo that she said justified hiring an additional attorney. Following the meeting, the California Stem Cell Report asked for a copy of the memo. It consisted of a one-page job description. Dated March 5, it was written by Baum and directed to Trounson. It described the duties of the new lawyer but not the justification for hiring the person. In addition to IP work, duties including 350 hours of work to "provide increased certainty of commercialization rights," 250 hours for due diligence in the grant award process, 200 hours of work on genomics and reprogrammed adult stem cell efforts. The memo calls for 690 hours on business transactions including 150 hours to administer the loan program and 200 hours on agreements with companies seeking to relocate to California. Much of the committee discussion focused on the need for legal expertise on IP issues, which Baum said the agency lacked. CIRM first took a crack at hiring an IP attorney in 2008, seeking both a consultant and a fulltime staff attorney. A fulltime staffer was never hired. However, Nancy Koch was hired as an IP consultant for six months at $150,000 and has been with the agency since. Koch was deputy general counsel of Chiron Corp. and its successor Novartis Vaccines and Diagnostics, Inc. During 11 years at Chiron/Novartis, Koch was responsible for a wide range of intellectual property matters including litigation and licensing. Her current contract is for $250,000 for a year but would be reduced to help provide cash for a staff attorney. Baum said last month that Koch is primarily involved now with collaborative arrangements with other countries. Our take? It is commonplace to be critical of lawyers, their profession and their numbers. CIRM, however, is an unprecedented agency operating in uncharted scientific waters with an enormous reponsibilility for generating a return for the state. It is engaged with firms that will be negotiating aggressively to cut the most beneficial deal possible for themselves – not for California taxpayers, who are paying the freight. CIRM must protect the state's interests. And first-rate IP lawyers do not come cheap. In 2008, the agency was lowballing when it offered $150 an hour. If CIRM fails to generate a financial return for the state, critics are sure to say that it was overmatched legally when it dealt with the private sector. On the other hand, the agency is sure to be battered by contemporary critics for its battalion of barristers. The issue of a new hire went unresolved last month, and it was turned back to a handful of directors and staff to solve. CIRM directors will deal with it again at their meeting later this month. A final footnote: Philip Pizzo, a CIRM director and dean of the Stanford medical school, was part of the meeting during which Trounson identified Stanford as failing to take of care of some of its IP responsibilities. Pizzo said towards the end of the meeting, "If Stanford is going to be referenced, we ought to be clear that we've got all the facts correct about what Stanford does or doesn't do." Pizzo said Stanford does a "great job."